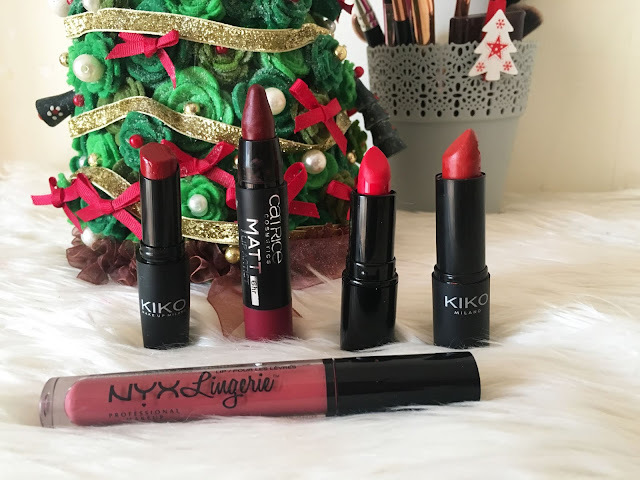 Am I the only one that when thinks about Christmas lipsticks thinks about bright red colours? Today I’m sharing with you my top 5 red lipsticks. Four of these are solid matte shades and one liquid lipstick. 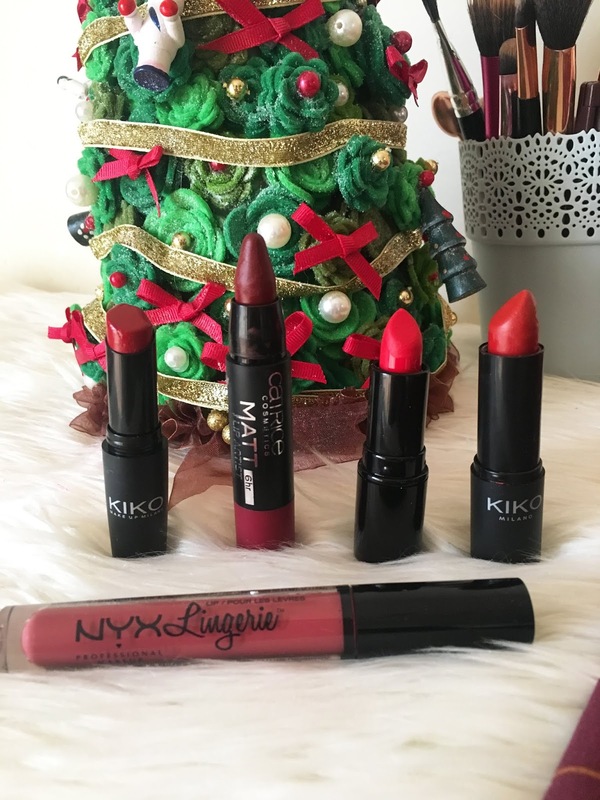 I love wearing red lips because I feel that completes and gives an extra Christmassy look to the look. 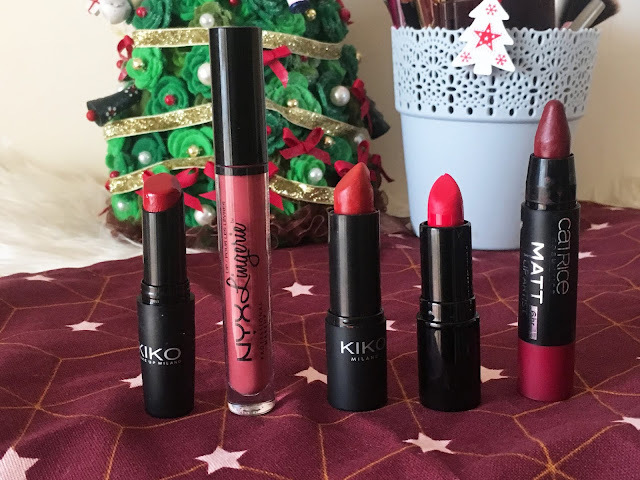 Even though that my Kiko ones are almost expiring, these 5 shades are the ones that I always reach since compliments when I'm wearing a golden eyeshadow and that can be worn either day or on a night out! Another note that I would like to say is that all these lipsticks are 100% cruelty-free 🐰 ! What is your favourite go-to red lip shade?